The 45th Apimondia Congress 2017, the most significant event in beekeeping worldwide, will take place from 29th of September to 4th of October, in Istanbul, Turkey. 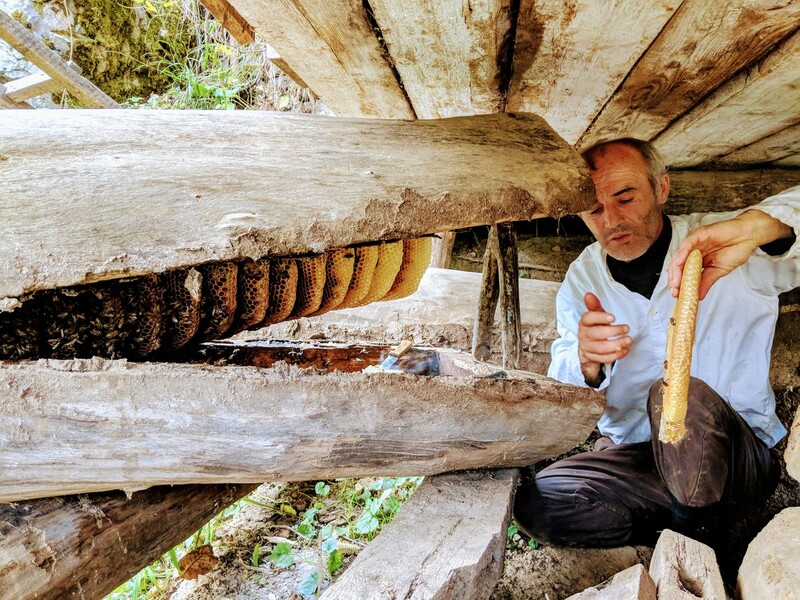 For the first time in Apimondia’s hundred years of history, Georgia will be at this world forum, represented by the Ajarian Beekeeping Business Association (ABBA), exhibiting the different types of honey of its members and promoting Georgian honey and beekeeping. Apimondia promotes scientific, ecological, social and economic apicultural development in all countries and the cooperation of beekeepers' associations, scientific bodies and individuals involved in apiculture all over the world. This event is a unique opportunity for Georgia to promote itself as a honey producer and claim a place next to world leading honey producers. The recent placing of Georgia on the list of third countries for honey only further cements the credibility of Georgia as a viable producer country. Georgia has been extensively promoted internationally as the birthplace of winemaking. Apimondia provides the first opportunity to put energy into a new promotion; of Georgia as the homeland of the oldest honey ever discovered, preserver of ancient beekeeping traditions as shown in the recent Jara movie and producer of a wide variety of artisanal natural honey and bee products fueled by the un-paralleled flora of Georgia’s uniquely bio diverse and unspoiled landscape. It is no coincidence that Ajara will be representing Georgian honey production. 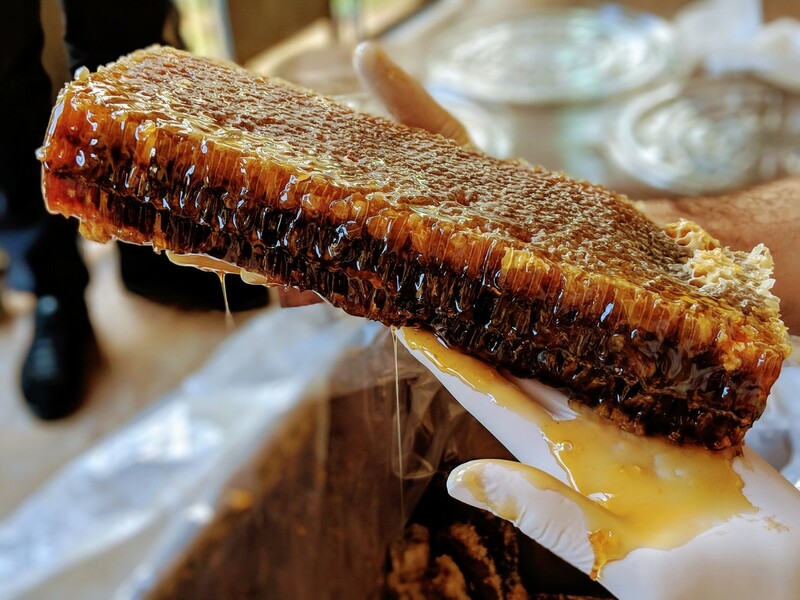 Recent years have seen increasing development of the honey sector in Ajara showcased in the annual Batumi Honey Festival held every year in August. In addition to association members, the trade group will include, Ajarian honey producer Matchakhela Ltd, leading national honey producer and inputs supplier Futkara Group, representatives from the Ministry of Agriculture of Ajara Autonomous Republic and the Ajara Chamber of Commerce and Industry (ACCI). Their participation at the congress has been facilitated by the Swiss Agency for Development and Cooperation (SDC) project the Mercy Corps Georgia implemented Alliances Caucasus Programme (ALCP) in cooperation with the Ajarian Beekeeping Business Association (ABBA) operating under the Ajara Chamber of Commerce and Industry (ACCI). An article about Veterinary Surveillance Points (VSP) has been published in a quarterly bulletin of OIE – the World Organization for Animal Health. The article covers topics on the tradition of livestock seasonal movement in Georgia, the necessity of establishing VSPs and the importance of the points in animal health control throughout the country. The author of the publication is the Head of the Veterinary Department of the National Food Agency and the OIE Delegate of Georgia - Lasha Avaliani. 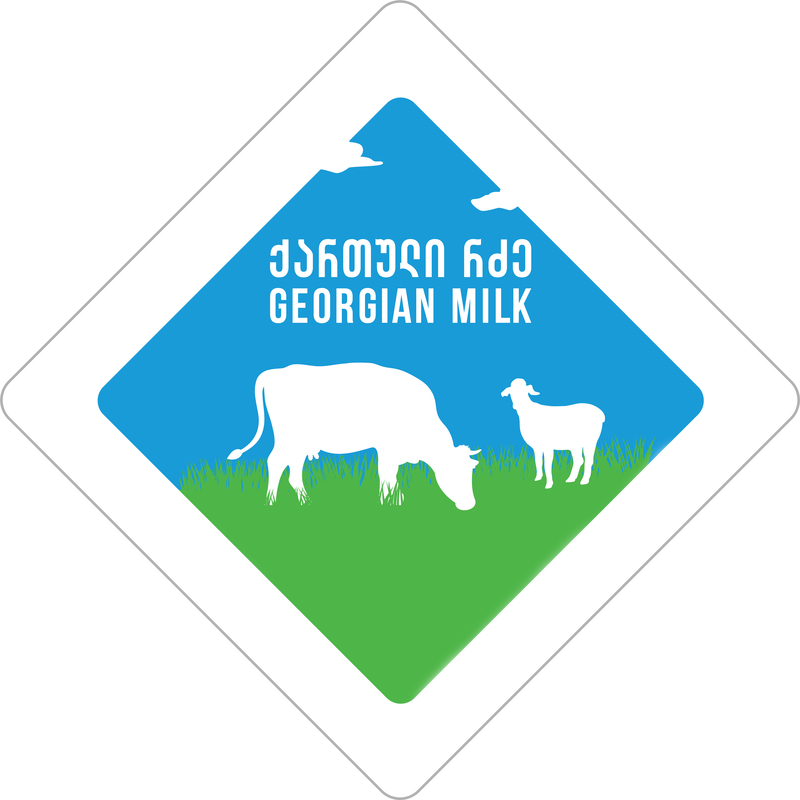 The ‘Georgian Milk’ mark has been registered in the National Intellectual Property Centre of Georgia - Saqpatenti. 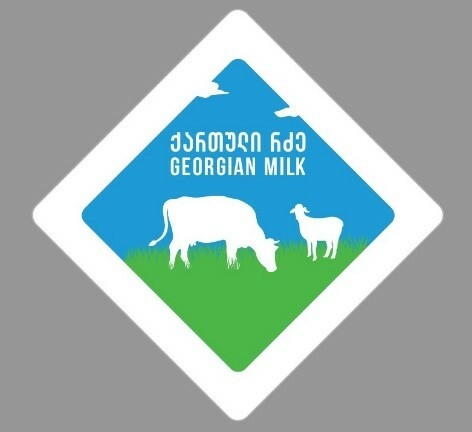 The mark is now protected to avoid falsification and strengthen the ownership of Business Institute of Georgia, an independent body which will regularly audit dairies granted license to use the mark. Eighteen dairy enterprises have already applied to use the mark. 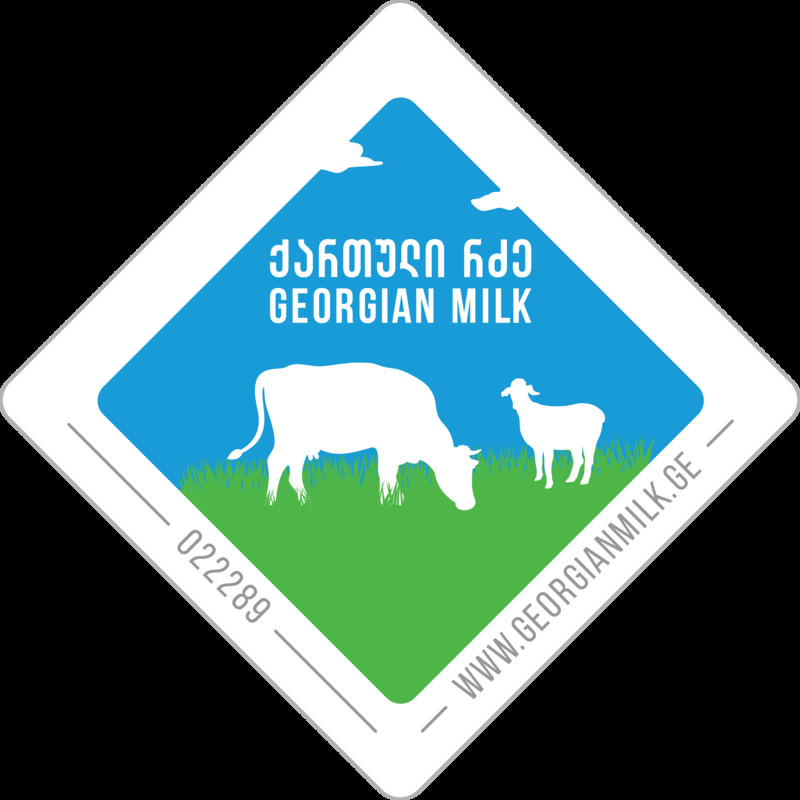 The new ‘Georgian Milk’ mark will distinguish dairy products made from natural raw milk. Information per enterprise will be published online on a www.georgianmilk.ge website which will come online at beginning of March. This will allow consumers to look up the products they are buying using a unique register number printed on the label. A national promotion campaign conducted by GMA international marketing company to introduce the mark to the public and retailers will be rolled out from the end of next month. On December 26th, the Journalism Resource Centre presented its second edition of the agri journalism module. About hundred guests from the government, business and academic sphere attended the event. The agri module was created for inclusion in BA in journalism degrees. Now, ten universities across Georgia have the agri journalism module established in their curriculum, lasting one semester with a total of 15 credit hours. Four more universities are about to do the same this year. 369 students have undergone the course in Georgia to date. Now those initiatives are ready for transfer to Armenia and Azerbaijan. During the event, the Journalism Resource Centre awarded farmers and specialists within the agricultural sector. The Best Female Farmer of the Year award was given to beekeeper Mariam Kiladze; the Best Vet of the Year was Giorgi Tcikhelashvili from Dmanisi, he is 25 years-old who graduated from the Vet Department at Agrarian University and went back to Dmanisi and is working as a vet. The Best Male Farmer award was given to shepherd Giorgi Imerlishvili. Credo and the EBRD were recognized as financial institutions that supports agriculture, and SDC Project Mercy Corps Alliances Caucasus Programme for supporting agri media journalism. At the end of the event, the Journalism Resource Centre announced the establishment of the Agro Guild, which unites journalists and media organizations, businesses, farmers, public officials, and universities and sets up annual or bi-annual advisory committees. The members of media associations and the JRC also announced that they are planning to establish an Agri TV program, the pilot of which will start in three months. Follow this link for additional news regarding the event. For the first time ever, twenty Jara producers have sold their entire crop of Jara to a commercial enterprise. Jara honey will soon be available in shops in Georgia.